Here is a revised format for the Planetary Maps. Anyone who wants to use this for their games is welcome to it. 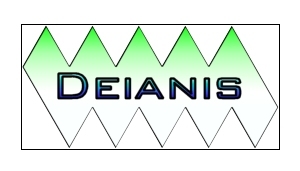 Deianis is a small world located in the Dorsai Domain in Irimagik, in the Cheeshai-97 system. Low population, its a training site for the Dorsai Military. I really like the texture on the ocean squares: it's a nice touch. Are there any settlements or cities here? What are the GRAPH stats? Nothing large enough to show up at this level of scale. I tried uploading the GRAPH stats as a GIF, but this site doesn't support it.